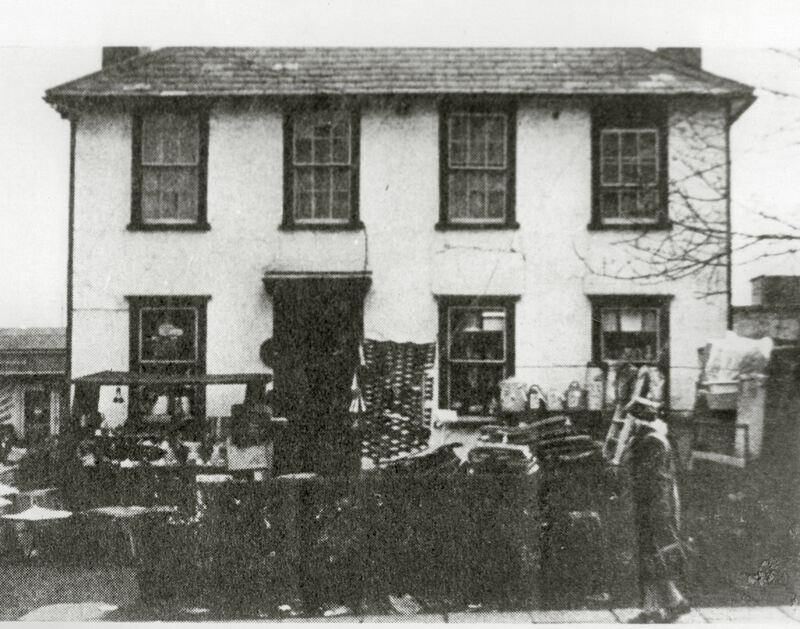 Suttons opened their shop in the front room of a house in the High Street, displaying their goods on the pavement in front of the house. When Suttons burnt down it was rebuilt on almost the same site. Suttons hardware shop, 1941. The shop was part of their home. I remember the old house. 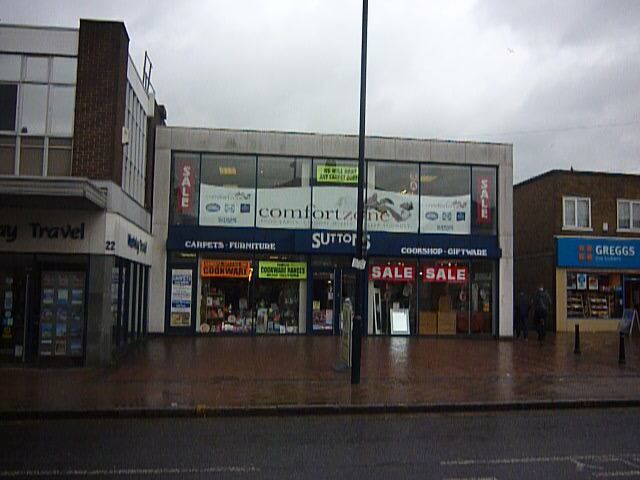 We bought lots of second-hand furniture there in the 1940s.